Few Valrico people have naturally perfect smiles, but those that practice proper oral care can avoid many problems that affect oral health and aesthetics. 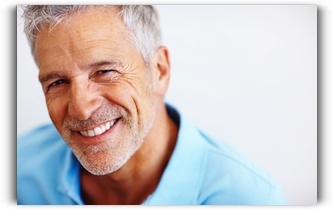 There are many Valrico men and women, however, who take good care of their teeth but are unsatisfied with their smiles. Perhaps their teeth are crooked, have tetracycline stains, or have yellowed with age. This article is for the Valrico residents who fall into this category. The knowledgeable team at Five Star Dental Care wants you to know that cosmetic dentistry can transform your smile. The increased confidence will have a positive impact on both your personal and professional interactions. Jeff Bynum is an experienced cosmetic dentist who skillfully uses the complete spectrum of cosmetic dental procedures to create the most eye-catching smiles in Florida. Call 813-653-2273 today to schedule a smile makeover consultation at Five Star Dental Care in Valrico. This entry was posted on Friday, August 23rd, 2013 at 1:27 pm	and is filed under Cosmetic Dentistry. You can follow any responses to this entry through the RSS 2.0 feed. Both comments and pings are currently closed.